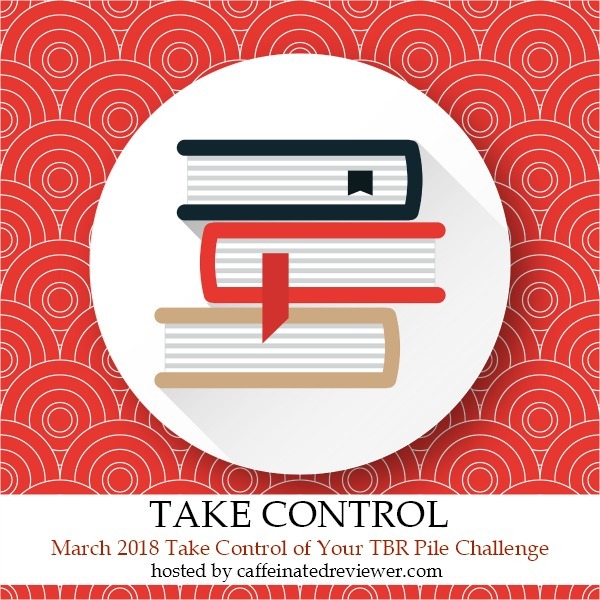 Take Control of your TBR is a sixth annual Challenge hosted by Caffeinated Reviewer. It is a challenge focused on books on your TBR pile that have been publisher prior to March 1, 2018. This will be my first time taking part in this challenge. I have a lot these to go through and I hope by being a part of this challenge I can put a dent in my TBR. Link-up! This is open to everyone. If you do not have a blog then link a shelf entitled Take Control 2018 from your Goodreads account. ALL books/audiobooks should have been published before March 1, 2018. It does not matter where they come from as such old ARCs count. - there's a giveaway and books read and reviewed can be linked to join the giveaway. Twitter Party March 11th @ 2:30 pm (CST) Come chat about books you have read and win prizes. Rafflecopter will close on April 2, 2018, at midnight and a winner will be chosen within 72 hours. Open internationally as long as Book Depository ships to you. I aiming to read eight book. 4 physical and 4 ebooks. Lists and I do not go well together so I will not be making one. I do however, have an idea of the books I want to tackle for this challenge. signup post can be found here.